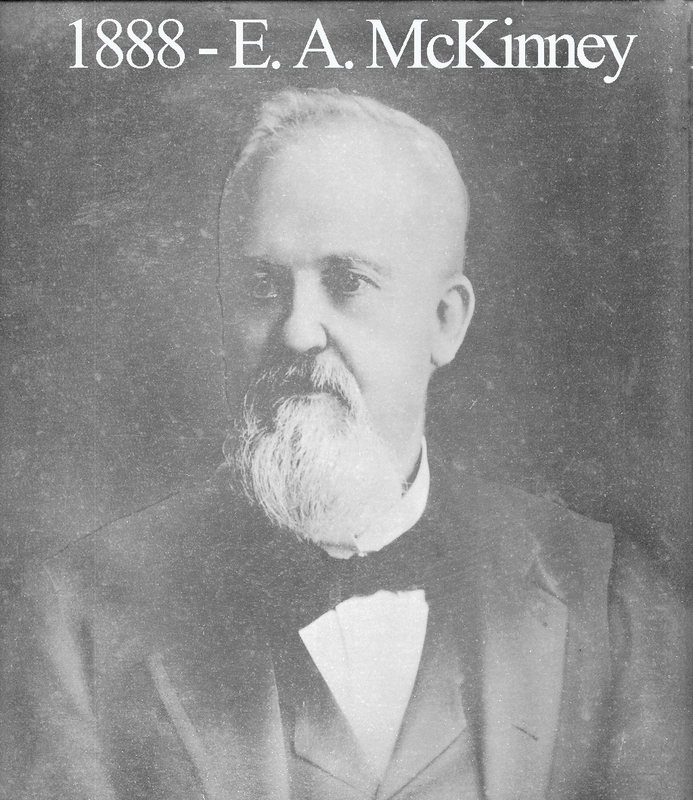 Ernest McKenney was born in Canada and was raised in Illinois before coming to Waco as a young man having self-studied law and was admitted to the bar in 1859. None other than Sam Houston appointed McKenney as a notary public during the early days of his career and McKenney was particularly proud to have received this appintment from Brother Houston so he made sure to maintain his role as such for the rest of his life. When the Civil War arose, he enlisted and served all four years, rising to the level of Captain in the 6th Texas Cavalry. He returned home in 1865 and was promptly elected as the first Mayor of Waco after the war. He handled some of Waco’s most famous legal cases during his career and married Florence Speight, daughter of PM Joseph Speight, in 1868. He was a prominent member of the First Baptist Church. McKenney died at his home on Homan Avenue in September of 1915. In 2010, Baylor displayed a collection of preserved flowers once owned by McKenney’s wife.